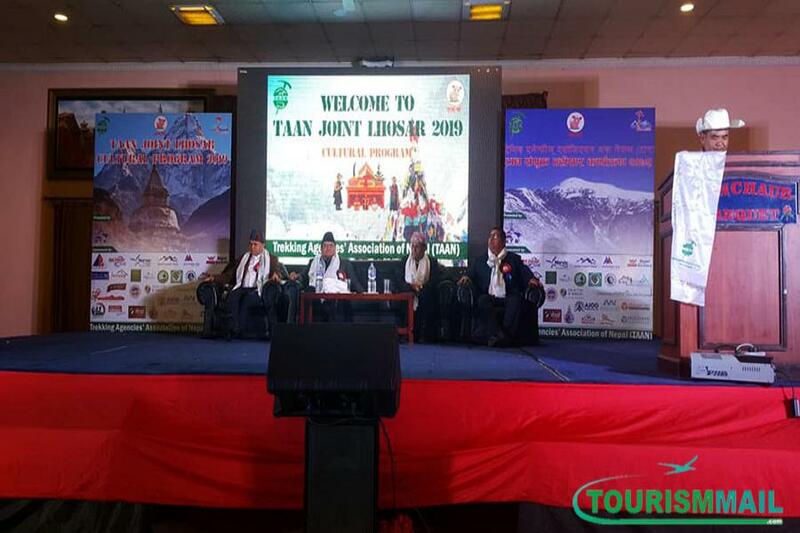 KATHMANDU, Feb 10: Trekking Agencies Association of Nepal(TAAN) conducted Joint TAAN program to celebrate Loshar in a grand way. The celebration included various events and was successfully celebrated. The program was inaugurated by the Minister of Minister, Culture and Civil Aviation, Rabindra Adhikari and there was the presence of chief guests including Secretary of Tourism Ministry, Krishna Devkota, Various Diplomats, Representatives and Chairman of various organizations, Tourism entrepreneurs and Media persons. Tourism Minister said that they are trying their best to uplift the standard of the country and its development. He also mentioned that they are going to do proper investigation for the ones who are involved in the case of fake rescue and wide body scandal. The government is trying hard to make each and every sector successful by contributing to their best. Similarly, The Chairman of TAAN, Mr. Navaraj Dahal listed out the ongoing issues in tourism industry to the concerned authorities. The program was celebrated by various cultural programs by the celebrities of Nepal.